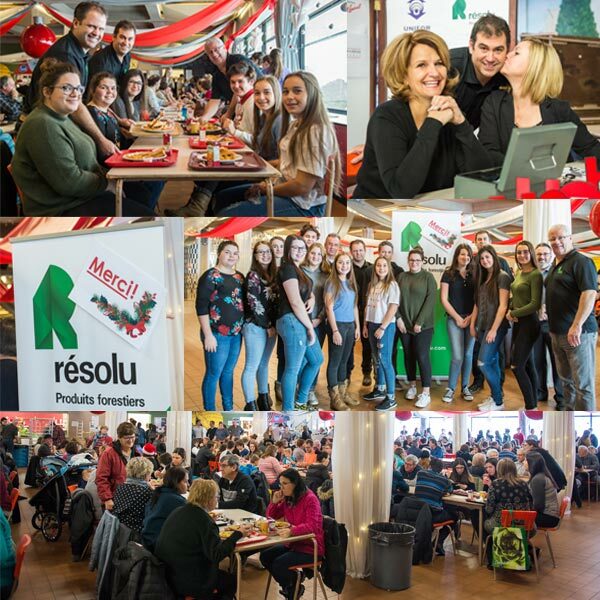 Over 1,000 people in Dobleau-Mistassini (Quebec) kicked off the Season of Giving with a Resolute-sponsored breakfast that raised a record $16,000 for local youth in need. 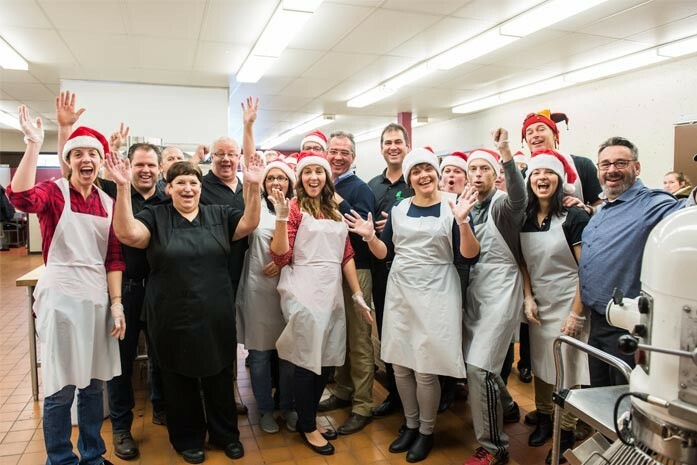 Community members and students consumed 1,400 eggs – served by staff and students at Jean Dolbeau High School – during the 15th annual breakfast fundraiser held on December 2nd. All proceeds will be used to purchase meals and clothing for disadvantaged students, as well as to address medical needs such as prescription glasses and dental care. Although the event was inaugurated 15 years ago, this year was the first time Resolute participated. The company contributed $2,000 and our Vice President of Human Resources, Daniel Ouellet, along with Pascal Cloutier and Daniel Leblond, local Union leaders for Resolute’s Dolbeau paper mill and sawmill respectively, served as co-chairs.